14k White Gold Ring | Shane Co. This high gloss ring has an asymmetrical design to beautifully set off the center stone of your choice. 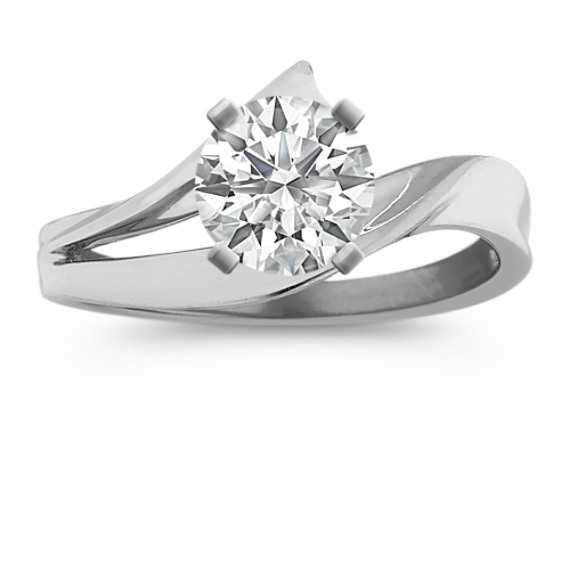 The design is crafted from the finest 14 karat white gold.